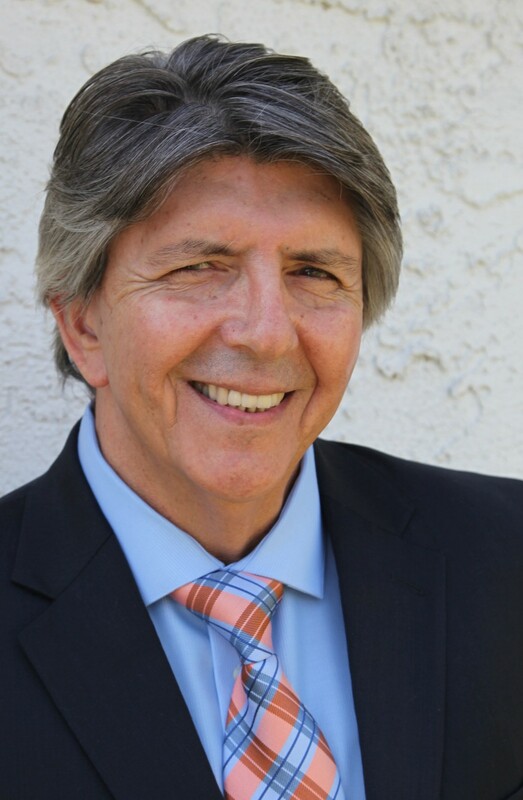 MIGUEL ROURA is a writer/Actor/Producer/Activist and a retired LAUSD English Language instructor from Boyle Heights. Since his earliest days during the Chicano movement as a community organizer and educator to his current involvement with CASA 0101 Theatre, Miguel’s life-work has been to contribute to the betterment of his community. He’s performed shows such as: Naked Stage Nights, Awkward, Remember La Causa?, Frida Kahlo Ten Minute Festival (No Me Queda Otra), La Bestia Band Theatre Project, Shakespeare Sonnets Night, and the Fall 2014 production of Julius Caesar. One Saturday in the summer of 1970, I boarded a Tres Estrellas bus and headed south, down the international highway, taking me on my first in-depth exploration of Mexico. I was part of a group of 150 Chicano students who rented apartments at La Plaza Tlatelolco while attending classes at UNAM –- La Universidad Autónima de Mexico. I came searching for an identity, encouraged by my Chicano graduate student teachers at UCLA, who nurtured me through the first two years, and by my mother’s prodding that I learn the truth about the land of my ancestors. I remember my high school teacher and mentor, Sal Castro, telling us: “Your people founded highly sophisticated civilizations on this continent centuries before the European stepped on this land.” So this afternoon with this group of young enthusiastic men and women, I loaded my baggage on a coach that took us from Tijuana to Tenochtitlan. That first day of travel started off full of excitement as we jockeyed for a seat next to someone with whom to share the experience. Once we sat down and the bus started to roll, the conversation focused on the women on the trip with us. Our bus was all male, another was all female, and the third carried the married and matched couples. After the subject was thoroughly reviewed, we took turns sharing why we came on this trip, what part of Mexico our parents were from, and how much Spanish we actually knew. Most of us, whose parents spoke mainly their native language, had that idioma deleted in school by teachers and deans who strictly enforced English-only policies through corporal punishment. Those kids whose parents were second and third generation at the urging of their counselors took French or Italian as their foreign language requirement in high school. After we drank all the beers that the bus drivers provided and we tired of the talking, we each settled into our seat. Images of people and places floated in and out as I sat by the window contemplating the passing panorama. The words of Ruben Salazar crossed my mind: “A Chicano is a Mexican-American with a non-Anglo image of himself….” Looking around the bus, I realized I was part of a new generation seeking to re-define itself. What did I know about myself? Mother from Colima, father from Tabasco, and just like their geography, they were extreme opposites. My parents met, married, and divorced in Tijuana; but they “dropped me” (I was born at Paradise Hospital) in National City, California, ten miles north of the border. They raised me in Tijuana until their divorce when I was five. I went to school, church, and to the bullfights on Sunday; my mother was a big fan of La Fiesta Taurina. When I turned ten, my mother used my dual citizenship to exchange her passport for a residence card. As I grew up, what I knew about Mexico came mainly from her recollections and from the conversations I overheard from her friends over the years. Usually the talk revolved around heartache, tears, and suffering. Through my adolescence I never wanted to accompany my mother when she went to visit her family. But now I was sojourning with other Chicano activists on this pilgrimage to the land of the chinampas (floating gardens of Xochimilco in Mexico City). Six hours into our trip, I realized I’d transferred from a luxury Greyhound bus to a transport with no air-conditioning, with one very small and smelly bathroom, and a radio with garbled sounds which gave me a headache. I shared the window with my new camarada, Mangas, a moniker he’d tagged himself: his real name was Richard, a 6’2″ chain-smoking Vietnam vet, who was a little older than most of us. We stared at the scorching, sun-drenched Sonora Desert until it was too dark to see anything. The rocking of the rickety bus lulled me in and out of sleep. Far in the distance a summer storm illuminated the distant mountains with veins of muted thunderbolts. My mother gave me the thousand dollars I needed for this excursion; money she worked for and saved over the years. In Tijuana she’d been a registered nurse at Salubridad (public health clinics specifically for treating prostitues), caring for fichera (woman who drinks with clients at bars and earns a chip for every drink the man buys, which she later cashes in), prostitutes, and their clients, mostly American servicemen. When she came to the US in her middle-age years, she did back-aching work: sewing, cleaning, and mopping kitchens and toilets in Brentwood and Bel Air homes. After ten hours on the road, the driver pulled into the bus station in Culiacan, Sinaloa to refuel and to rest. In high school I had never smoked marijuana. Most of the parties and dances I went to only served beer and sometimes cheap liquor. Moctezuma, our high-school class valedictorian, was the first one I saw take out a joint and fire up. He hung out with college kids and professors, and showed off his high vocabulary, which most of us football players didn’t understand. But on the first days in the fall of ’68, just before classes started, and the first day I moved into the Brown House, I smoked my first toke. Brown House was a student housing complex right behind fraternity row. The university rented it for ten of the fifty male Chicano special-entry students whom they couldn’t place in the dorms. Toby and I were the first to arrive early that morning. He and I had been members of rival gangs back at Hollenbeck Junior High: him from Primera Flats and me from Tercera. But that was ancient history now. After choosing my room, making my bed, and reading the first chapters of The Autobiography of Malcolm X in the early afternoon, I took a walk to the patio to stretch out. Toby was lying down in a couch with a headset and a peaceful look. He asked me if I had heard of Hendrix. I said no. He handed me the headset. He lit a joint, took a deep drag, and then handed it to me. I imitated him but instantly choked on the contents, coughing out the smoke which had made my lungs explode. My eyes watered as the spasm subsided. Thereafter, I lay back to hear and feel the electrical impulses that oscillated in my brain and tingled down my body. With that I became a toker. Being an only child, I was always hungry for friends. Smoking a joint became a gratifying communal experience. Those were the times of sit-ins. teach-ins and love-ins, rallying at Royce Hall and occupying the Administration Building on Mexican Independence Day 1969. Smoking a joint broke down racial, economic and gender barriers. It was cool to do! People got happy when they knew I had joint to share. Scoring an ounce of weed for the ASB president got me many benefits. End of Part 1/2. To be continued.